The Spartanburg, South Carolina, plant builds the X3, X5 and X6 crossovers, of which roughly half are exported to more than 130 countries. The long-rumored BMW X7 will be built at the company's U.S. plant in Spartanburg, South Carolina, a person familiar with the plans said. BMW will make the announcement on March 28, said the person, who was not authorized to discuss the move publicly. The Wall Street Journal, citing sources, reported Thursday that BMW will spend several hundred million dollars to expand the plant to build the seven-seat X7. BMW had been rumored to be considering a three-bench crossover to fill a gap in its crossover lineup. Construction at the plant would boost production levels to 400,000 vehicles annually, the person told Automotive News Europe sister publication Automotive News. It is currently being expanded to build 350,000 a year. The automaker said Wednesday it is looking at raising production capacity at its only U.S. plant as it chases record global car sales. "The U.S. will stay a market with great potential for us," CEO Norbert Reithofer told reporters in Munich. "This is why we are evaluating the possibility of increasing capacity in the U.S."
The company had previously said a "significant economic and product announcement" regarding Spartanburg would be made March 28, without providing details. BMW spokesman Kenn Sparks declined to comment on specifics of the announcement. "The event will be to announce significant economic and product news," he said. "Until then, it's all speculation." 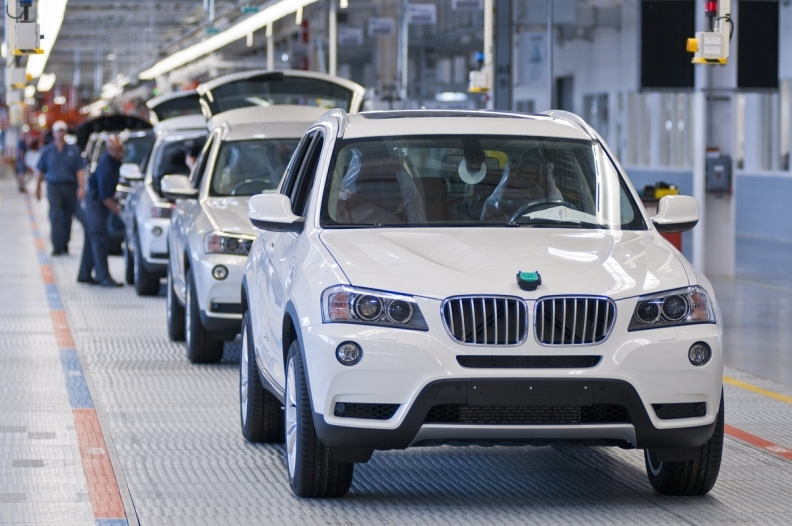 The plant builds the X3, X5 and X6 crossovers, of which roughly half are exported to more than 130 countries. The X4 goes into production this year. Most X7s produced at the plant will remain in the United States. Production could begin as early as 2017, the source said.